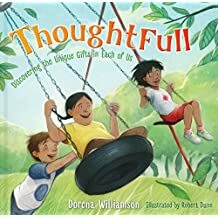 Her recent book, ThoughtFull, Discovering the Unique Gifts in Each of Us, is tender and encouraging to both children and adults. The story takes a look at the uniqueness of people and demonstrates how each of us has the option to be kind and thoughtful or mean and hurtful. It is illustrated by Robert Dunn. Ahanu is a boy who received the HEART award at school for being helpful and looking out for others. Jason was excited for his friend and congratulated him. However, on the bus ride home from school, Jason overheard some other children making fun of Ahanu, because he has Down syndrome. The book helps children see that different is OK and people are uniquely made by God. Each one has been given talents and gifts that contribute to us all. When people are not the same as us in appearance, beliefs, abilities, form or fashion, we form opinions, either good or bad. We accept or we reject. And yet, the uniqueness of humans is the beauty of creation, just as it is in nature. NOTE: I received a copy of ThoughtFull, Discovering the Unique Gifts in Each of US, provided by B&H Publishing Group, for an honest review. The book was free. The words are my very own. This week I have pondered a question. How do I live a beautiful life in a fallen world to the glory of God? Because it is always about the glory of God. I hear news reports of devastation for residents in Texas, the aftermath of hurricane Harvey. At the same time, I see people stirred by an inner kindness and compassion to serve any way they can. They come from neighboring counties or other parts of the country to help with clean up. They purchase bottled water, shoes and supplies to fill a truck that will soon head in the direction of loss. They donate money to the Salvation Army. They pray. So often our human response is to blame God for disaster and tragedy and wonder what kind of being He is to allow such things. Funny how we are quick to blame Him when we hardly notice Him or give Him credit when things are going well. When I see humanity at its finest, giving, serving, loving, I see God. It is His goodness coming to the surface of each person reaching a hand to help. If we want to see God, then look for mercy extended, marvel at compassion in action, be amazed when forgiveness is offered for the unthinkable. Everything that is good and decent and loving in this world originates with the Creator of all things good. When Jesus lived on this earth, He showed the world who God was, what He was like, how He loved the world so much that He gave everything. Everything. Scripture tells us He is love, His essence, His being. Anything that looks remotely like love is God moving through human hearts and lives. How do I live a beautiful life in a fallen world? By being Christ’s hand extended to someone else. By sharing my goods, my time, myself with a a longing soul. By forgiving when I have been hurt. By loving when it is hard. By serving faithfully with joy when I am bone weary. By bowing the knee in prayer for someone who is suffering. 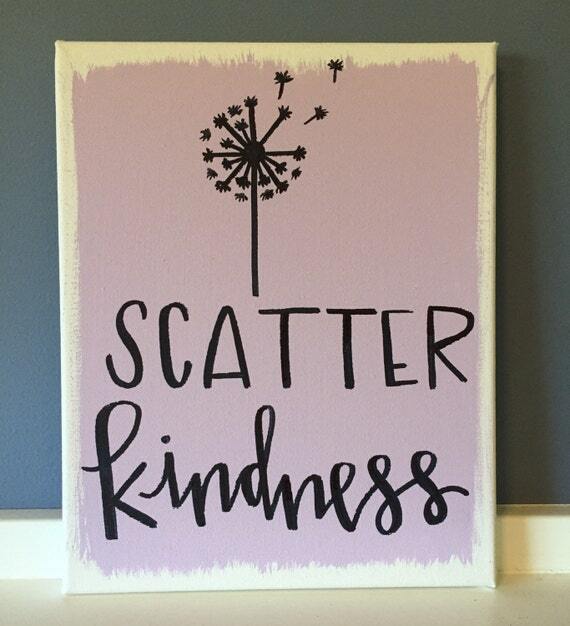 By random acts of kindness to the one God brings into my path. God is moving in the world. He is connected and concerned with us here on planet earth. And we will see Him if we look. A friend invited me to read James Herriot’s books, the ones he wrote in the mid 1900s about his experiences as a veterinarian in England early that century. I’ve always loved animals and considered becoming a vet when I was young, so his book was enticing. I checked out All Things Bright and Beautiful at the library and understood my friend’s love for Herriot’s books and language. Reading Herriot’s description of the people and animals he encounter was often funny, sometimes sad, but always entertaining. Herriot wrote frequently about his wife, them only newly married in this particular book. That description stayed on my mind for a while. “She was always kind.” I would like to be remembered that way. It became their Bucket List. As a result of the movie’s popularity, people began making their own lists of goals, dreams, experiences, places to visit, and people to meet, with nothing being too lofty or extravagant for the list. There are websites that will help you understand, envision and make your own list. I understand the idea. If we never set our sites on something, we will never try to reach the goal. I’ve been a list-maker and a goal-setter for a long time, so I get it, and I appreciate the focus required to strive for something. I made a simple bucket list once, thinking outside my ordinary box to dream big. Through the years, I’ve crossed off some things as achieved, some as not-gonna-happen, and some that are no longer important to me. As my years add up, what I think of more often is the legacy I will leave behind. I’m not talking about bank accounts, houses and land as an inheritance in monetary terms. Instead, I think about what people will say when I’m gone. How will I be remembered? “She was always kind,” would be on my legacy bucket list. There are some other ways I would like to be remembered. She was a good listener and a safe place to express oneself. She was real, not a fake. She prayed for you when she said she would. She was the kind of wife whose husband trusted in her, and she spoke well of him. She loved her children and grandchildren unconditionally. She was a loyal and true friend. She gave of herself and her resources. She had real joy in this life and hope for the next one. She knew Jesus and her life reflected Him. I’ve walked by many caskets in funeral homes. I’ve heard stories of the deceased and told some of my own memories. It is sometimes serious and sometimes joyful, and a combination of both, remembering the life lived. When it’s my time to die, and all of us have that appointment, I want to have lived out my days with joy and gladness. I want to have loved with abandon. I want to have treated people right, with respect and honor. I want Jesus to shine brightly through me. And I want to always be kind.